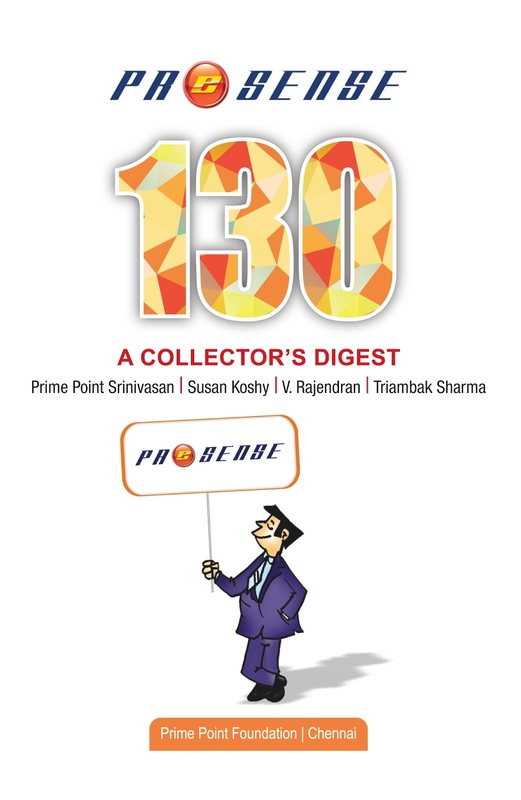 We are happy to inform our readers that a 320 page Digest of select articles published in the 130 issues of past ezines titled 'PreSense130' was launched at Chennai on 28th April 2018. 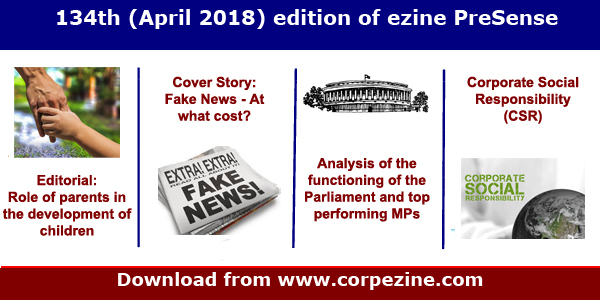 Online edition of the Digest can be downloaded free from www.corpezine.com. 1. Editorial : V Rajendran writes on the role and responsibilities of parents in developing the children. 2. Cover Story : Susan Koshy writes on the Fake News and the constitutional provisions and responsibilities. 3. Nation: K. Srinivasan writes a review on the functioning of the Parliament and the top performing Members and the Standing Committees. 4. Nation: Sakthi Prasanna (Guest writer) writes on important facts about Corporate Social Responsibility (CSR) and the provisions of the law. 5. A brief report on the release of PreSense130. 6. Announcement: Sansad Ratna Awards 2018 will be presented to the top performing Parliamentarians and Standing Committees on 9th June 2018 at IIT Madras. Registrations will be open from 10th May 2018 through our site www.sansadratna.in.